Overview : The FastenR-T1 for Manfrotto 200PL-14 QR Plate from Black Rapid allows you to make your Manfrotto 200PL-14 quick release plate compatible with Black Rapid's innovative R-strap. The R-strap is worn diagonally across the torso from shoulder to hip and is adjustable to fit most photographers. It holds your camera ready to be quickly and easily accessible and with the FastenR-T1, to go from R-strap to tripod or monopod. The FastenR-T1 is made from stainless steel, with a black nickel finish and it has a 1/4"-20 bolt and D-ring. Quality/Usability : Using any of the BlackRapid Camera Sling Straps requires you to use the tripod socket on your camera. But what if you want to use your tripods or mount a quick release plate? You would have to unhook the camera from the strap and twist off the mounting screw at the bottom of your camera. When you're done, you have to put everything back. This is a hassle. 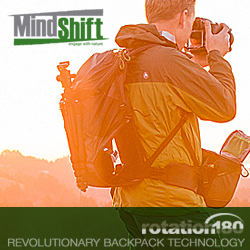 BlackRapid has solved this issue by releasing a new mounting screw that is compatible with their straps. Unfortunately, this only works with Manfrotto RC2 (200PL-14) Quick Release Plate. 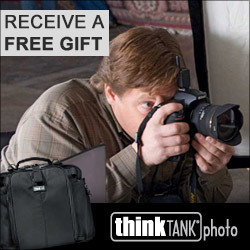 It won't work on Gitzo's, Manfrotto RC4's or Arca-Swiss. But why a new mounting screw when you can just use the one that came with the quick release plate? Well, the reason why is because the ring on the screw that came with the RC2 was not designed to have a strap hanging from it. It was only meant to allow you help you screw and unscrew the plate from your camera. The FastenR-T1 is a replacement screw that is much sturdier and allows you to attach a camera strap to it without the risk of your expensive camera gear falling to its death. The FastenR-T1 includes three pieces: replacement screw, c-clip and metal washer. The "instruction" is on the back of the cardboard hang-tab on the packaging and all it shows you is where each piece goes. As you can see, installation was very simple. The screw fits all cameras that have a tripod socket. Trying to use finger nails or your fingers to try and remove the small c-clip may be hard. That is why I used and suggest using a flathead screwdriver. But using a tool will make little scratch marks on the bottom of your plate. Conclusion : Overall, the BlackRapid FastenR-T1 for Manfrotto 200PL-14 QR Plate does what it is suppose to do. I am now able to leave my quick release plate on my camera and still be able to clip my BlackRapid strap to my camera without having to remove them each time. Everyone has different quick release plates for their tripods and ball heads. 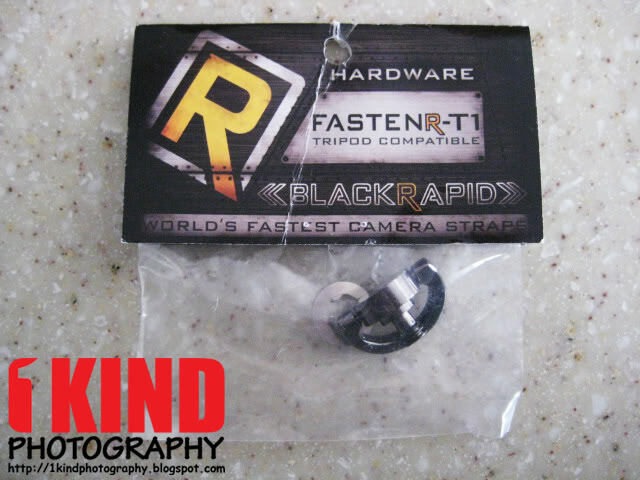 It would be nice if BlackRapid expanded their market by releasing different FastenR's that will fit other brand plates such as Gitzo, Arca-Swiss, Manfrotto RC4, etc. The perfect product would be a universal FastenR but I can only dream. Some may think skip paying the $18 or so because it's stupid to buy this when the plate already comes with a similar ring. Don't forget though, the plates screw/d-ring was only designed to help you tighten and untighten the screw. Manfrotto never designed it for camera straps. So the durability and the way it was designed/mounted is not sturdy enough. With the FastenR-T1, it replaces the original screw and is designed to hold the weight of your camera gear.